Your timeline in Google Maps helps you find the places you’ve been and the routes you’ve traveled. Your timeline is private, so only you can see it. Google Giving Less Weight to Reviews of Places You Stop Visiting? An interesting article that hints at some possible aspects of mobile location history just came out on January 24th, in the post, If youâ€™re using an Android phone, Google may be tracking every move you make. The present disclosure relates generally to systems and methods for generating a user location history. In particular, the present disclosure is directed to systems and methods for analyzing raw location reports received from one or more devices associated with a user to identify one or more real-world location entities visited by the user. Techniques that could be used to attempt to determine a location associated with a device can include GPS, IP Addresses, Cell-phone triangulation, Proximity to Wifi Access points, and maybe even power line mapping using device magnetometers. Thus, human perceptions of location history are generally based on time spent at particular locations associated with human experiences and a sense of place, rather than a stream of latitudes and longitudes collected periodically. Therefore, one challenge in creating and maintaining a user location history that is accessible for enhancing one or more services (e.g. search, social, or an API) is to correctly identify particular location entities visited by a user based on raw location reports. The location history process looks like it involves collecting data from mobile devices in a way that allows it to gather information about places visited, with scores for each of those locations. I have had Google Maps ask me to verify some of the places that I have visited, as if the score it had for those places may not have been sufficient (not high enough of a level of confidence) for it to believe that I had actually been at those places. Systems and methods for generating a user location history are provided. One example method includes obtaining a plurality of location reports from one or more devices associated with the user. The method includes clustering the plurality of location reports to form a plurality of segments. The method includes identifying a plurality of location entities for each of the plurality of segments. The method includes determining, for each of the plurality of segments, one or more feature values associated with each of the location entities identified for such segment. The method includes determining, for each of the plurality of segments, a score for each of the plurality of location entities based at least in part on a scoring formula. The method includes selecting one of plurality of locations entities for each of the plurality of segments. Why generate a mobile location history? A couple of reasons stand out in the patent’s extended description. 1) The generated user location history can be stored and then later accessed to provide personalized location-influenced search results. 2) As another example, a system implementing the present disclosure can provide the location history to the user via an interactive user interface that allows the user to view, edit, and otherwise interact with a graphical representation of her mobile location history. I like the interactive user Interface that shows times and distances traveled. According to another aspect of the present disclosure, a plurality of location entities can be identified for each of the plurality of segments. As an example, map data can be analyzed to identify all location entities that are within a threshold distance from a segment location associated with the segment. Thus, for example, all businesses or other points of interest within 1000 feet of the mean location of all location reports included in a segment can be identified. 5) a number of instances in which the user has performed a web search query with respect to the location entity being valued. For example, a user may enter a search query that references the user’s historical location (e.g. “Thai restaurant I ate at last Thursday”). When it is recognized that the search query references the user’s location history, then the user’s location history can be analyzed in light of the search query. Thus, for example, the user location history can be analyzed to identify any Thai restaurants visited on a certain date and then provide such restaurants as results in response to the search query. As an example, in some implementations, a user reviewing a graphical representation of her location history can indicate that one of the location entities included in her location history is erroneous (e.g. that she did not visit such location). In response, the user can be presented with one or more of the location entities that were identified for the segment for which the incorrect location entity was selected and can be given an opportunity to select a replacement location. In other implementations, opportunities to perform other edits, such as deleting, annotating, uploading photographs, providing reviews, etc., can be provided in the interactive user interface. In such fashion, the user can be provided with an interactive tool to explore, control, share, and contribute to her location history. In further embodiments of the present disclosure, a location entity can be associated with a user action within the context of a location history. For example, the user action can be making a purchase (e.g. with a digital wallet) or taking a photograph. In particular, in some embodiments, the user action or an item of content generated by the user action (e.g. the photograph or receipt) can be analyzed to assist in identifying the location entity associated with such user action. For example, the analysis of the user action or item of content can contribute to the score determined for each location entity identified for a segment. I have had the Google Maps application ask me if I would like to contribute photos that I have taken at specific locations, such as at the sunset at Solana Beach. I haven’t used a digital wallet, so I don’t know if that is potentially part of my location history. The patent describes the timeline feature and the Map feature that I included screenshots from above. Each location entity can be designated by a semantic identifier (e.g. the common “name” of restaurant, store, monument, etc. ), as distinguished from a coordinate-based or location-based identifier. However, in addition to a name, the data associated with a particular location entity can further include the location of the location entity, such as longitude, latitude, and altitude coordinates associated with the location entity. As an example, an interaction evidenced by search data can include a search query inputted by a user that references a particular location entity. As another example, an interaction evidenced by map data 218 can include a request for directions to a particular location entity or a selection of an icon representing the particular location entity within a mapping application. As yet another example, an interaction evidenced by email data 220 can include flight or hotel reservations to a particular city or lodging or reservations for dinner at a particular restaurant. As another example, an interaction evidenced by social media data 222 can include a check-in, a like, a comment, a follow, a review, or other social media action performed by the user with respect to a particular location entity. Thus, user/location entity interaction extraction module 212 can analyze available data to extract interactions between a user and a location entity. Further, interaction extraction module 212 can maintain statistics regarding aggregate interactions for a location entity with respect to all users for which data is available. It appears that to get the benefit of being able to access information such as this, you would need to give Google the ability to collect such data. The patent provides more details about mobile location history, and popularity and other features, and even a little more about personalization. Many aspects of location history have been implemented, while there are some that look like they might have yet to be developed. As can be seen from the three posts I have written about that describes patents that use information from location history, it is possible that location history may be used in other processes used by Google. 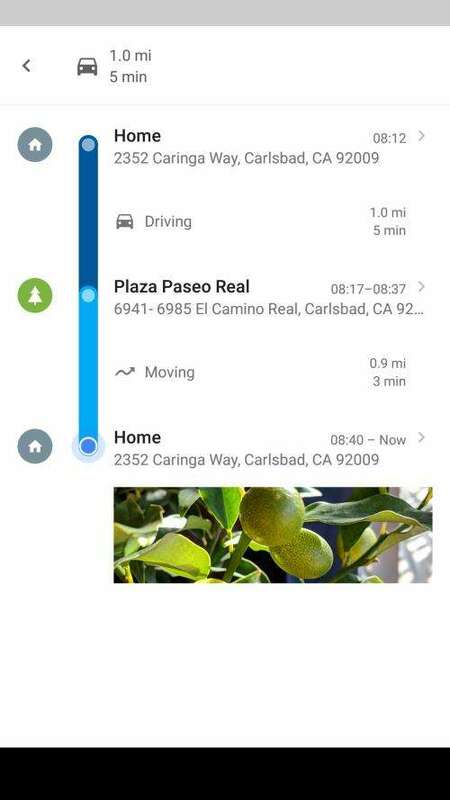 How do you feel about mobile location history from Google? I’m a Google Local Expert. It often catches me offguard when Google knows where I am all the time. If I meet a friend for lunch, Google asks me questions about the restaurant and wants photos. One friend finds this creepy. I don’t find it creepy or I wouldn’t do it…do I want to be tracked everywhere I go. What could be the downside of this? I like being a Google Local Guide, and answering questions about businesses, and contributing photos and reviews about businesses in my area (to help the local economy, and others who might need services and goods near where I live. I use Google Maps to get around, and usually it helps me circumvent heavy traffic, and find alternative routes. When Google notices that I took a photo at a place, and asks if i want to share it on Google Maps, I am often pleased to do so. I enjoy helping local businesses rank in Google Maps results, and earn knowledge panels. I think it helps the local community. What i would be interested in is seeing a heat map like Strava gave the other day (and got in vague trouble cause it revealed soldiers’ patrol routes….lol). It would be an invaluable resource for businesses to try and work out foot traffic when considering a location and things like that. Would be great for PPC mobile queries and working out if it is worth boosting mobile ads in certain areas/times as well. Obviously would need to be completely anonymous, but I don’t see a reason why Google couldn’t give out that information…unless they already are and i haven’t found it. I don’t see much discussion about it, but I believe that Apple is using iphone location tracking to gather information about where people go shopping and eat at. It would be interesting to see that information. Do you remember when Google purchased Skybox, the Satellite company, which was known for doing things such as photographing parking lots of businesses to see how many customers they had. I haven’t seen heatmaps like you describe, but in knowledge panels, they do have busyness indicators which show how busy businesses are at different times of the day. 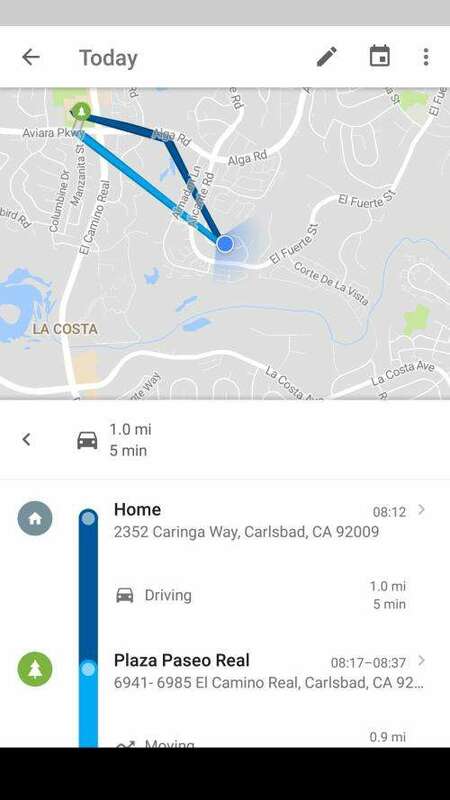 Never knew about Google mobile location history, this appears to be really cutting edge and wonder about the effect it will have on local search listings? Mobile Location History feels like a double edged sword! This is some really cool technology and makes life easier if for instance you’re a local guide on Google like me. Sometimes I wouldn’t even think of leaving a review but when I check my phone I get the option to leave a review for the establishment which I have just visited. I like a being a local guide for Google and giving information about places that I’ve been. Also, the photo sharing option also pleases me. Its one of the best feature available. I like being the local guide to google and leave a review and pictures where ever i go. I am not that much concerned about privacy though. Moreover its good ways to help other in understanding the local places as well. Thank you very much good job and thanks for sharing such a good organised. It was a perfect topic such kind of information. As I am a new person for SEO so just want to more about it. Thanks again for the wonderful conference you organised. It was a perfect topics with nice information. I enjoy being a local guide, too. Adding pioctures to a place, to provide views of it that people haven’t seen, gives them a chance to see before they visit. I like to look at photos of places I might go first, too. So being able to share those is a chance to pay back the favor. I have lived in places where there were very few reviews for businesses, and I like having that information right at my fingertips, which leads me to leave reviews for others to read. Google does use location history data to tell people how busy places get at the time they might visit; and it is possible that Google may tell people how long waits in lines in stores, or in lines at amusement parks might be. I think it’s great getting information like that, and they aren’t divulging my location to other people, and how long I’ve been at particular places. I’m fine if they don’t track and share personally identifible information about me. i also uses google maps when i travel and some of the time it asks me as well about the places. i think it is a good technology and helping many people and saving a lot of time and money as well. Google Maps are really helpful these day, they are providing an estimate time according to the running traffic. Well now I manage my ride by getting an estimate time to reach somewhere. It seems like people fall into 2 camps. Those that find it totally creepy and those that are appreciative of the personal, customized experience it provides them when using Google products. If you don’t like it, don’t use it I say. I’m not currently subscribing to the view that users have a choice: they do in fact, but do they in practice? As with so much of our online usage of features and apps, location tracking functionality is sooooo seductive, and user control is deliberately channeled to using rather than not using. I remember the last time I tried to open a paper map on the car seat next to me, and figure out where I was and how to manage to get back to the known world. It’s been a long time. When I moved to the West Coast three years ago, I found myself in a place where I had very little familiarity with the roads and traffic patterns and businesses. I didn’t go anywhere without asking Google Maps how to get there first, and it would take me mile-by-mile, and turn-by-turn the whole way. I learned that it would often navigate me around traffic congestion, even if I knew the route, and would warn me about going to places that were soon closing. I haven’t sacrificed my freedom or privacy in exchange for convenience because it doesn’t share that data about me in ways that may harm me.I have seen the busyness indicators for businesses in knowledge graphs on the Web, and I have a good sense of how they are getting that information. When Google estimates how long a trip will take, or informs me of a traffic delay ahead of me, I know how they are getting that information. Do you envision tracking information or location history being used in harmful ways in the future? I’m not sure that I see that happening. Thanks Bill, for this helpful article. However, don’t you think it is a little scary that companies like google, facebook know more about you than you about yourself? Thanks for sharing very Important topics for user how to use google mobile location navigation. I am not losing track of places that I travel to. Good information and very interesting. Best content I’ve read in a long time. Thanks. Local guides are increasingly important and when you add in Google stacks you have an absolute SEO powerhouse. The need for local and mobile first continues to be expansive. This is moving at such a rapid rate. We live in exciting times! That’s a great article. Do you think there is any way to leverage being a local guide to help your own SEO as a Google Business? I just took up the ‘offer’ of been a local guide the other day – very interested to see how this rolls out over the year for local businesses. i really never know about google mobile history,it’s kinda interesting information. Hey Bill, its great article about the google mobile history, today, I came know about the google how it takes. Great stuff. Really thanks for sharing this this article. 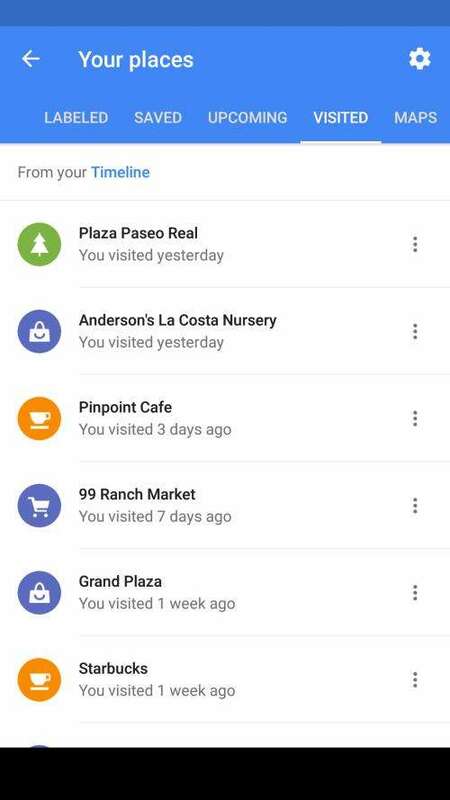 Personally i really no idea about Googleâ€™s Mobile Location History. So I think this is a very helpful guide for me. Today, location History is used to power features like traffic predictions and restaurant recommendations. Thanks for sharing , this best content Iâ€™ve read in a long time. Thanks. I would like to appreciate the efforts you have put in writing such an informative piece of work and analysis. Keep writing such kind of articles. Wow…I had no idea Google store this information. Thank you very much Bill for this Blog. Previous Previous post: Does Google Use Latent Semantic Indexing?